Hello there, all you ghouls and ghosts. Halloween is just a day away, and our hero Link has his costume ready to go. He had a few outfit ideas in the wings. He considered a Bokoblin mask, or Zelda’s Dress, or traditional Gerudo garb; but ultimately he decided to dress up as a spooky, scary skeleton for this year’s festivities. 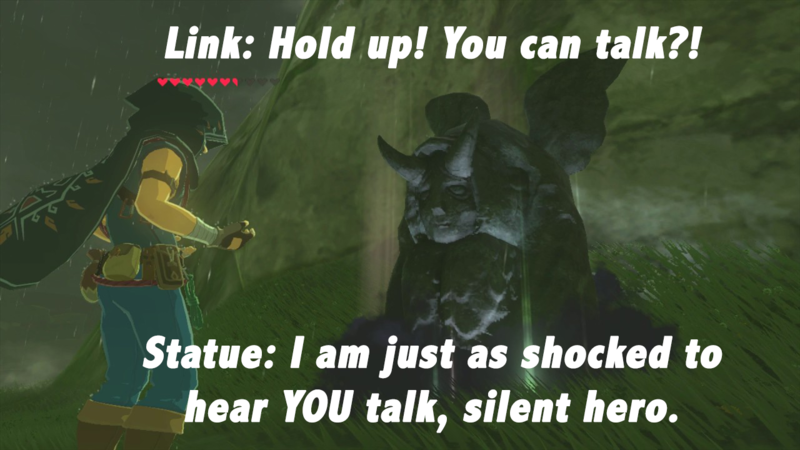 The Horned Statue released his spirit just in time for Ghost Week. 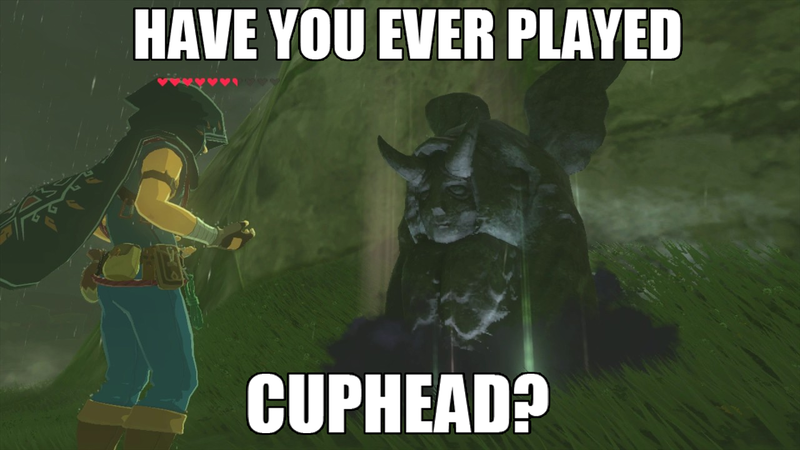 Jebradiah Drake: Link: So wait… what are you using all these rupees for anyway? Demon: That is none of your concern, boy. 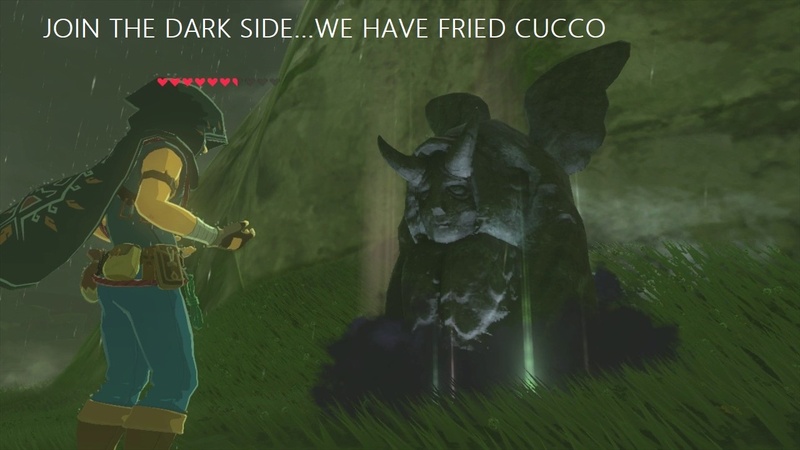 All of Hyrule will know my true intentions when the time is right. Purah: Hello Stony-chan! I’m back with more Sheikah Scout Cookies! Demon: *ahem* I’ll give you three Heart Containers on the house if you don’t tell anyone about this. 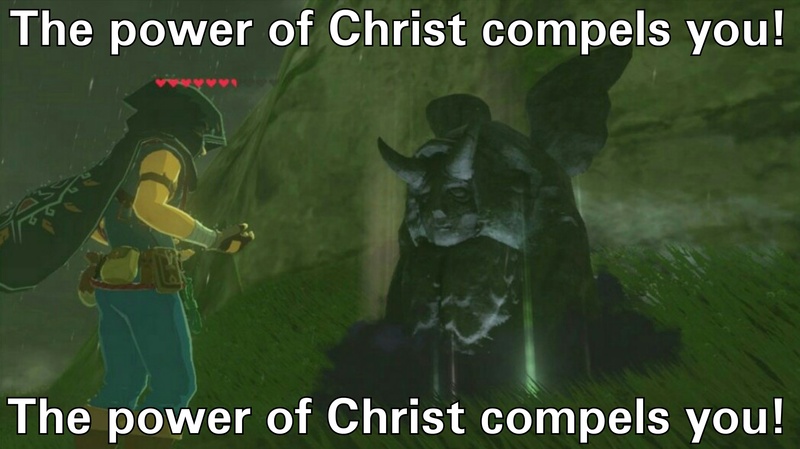 Dylan: Link: by the power of Steve Blum, I compel thee to give me Pokémon Ultra son and Ultra Moon!!! 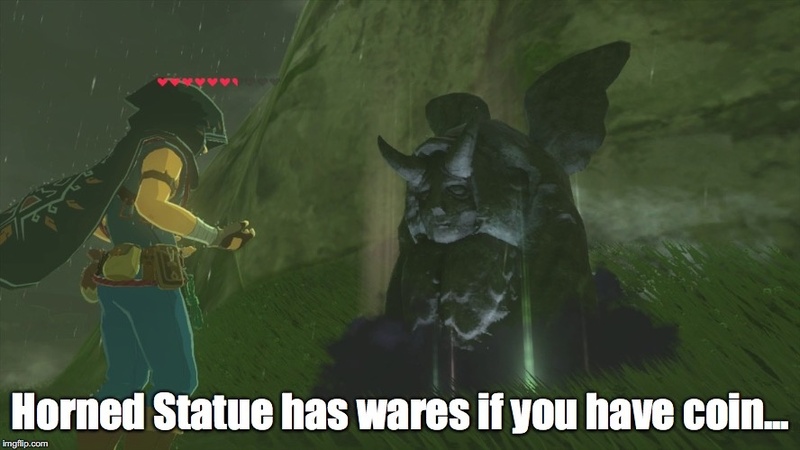 Demon Statute: that would be $69.99 rupee’s. 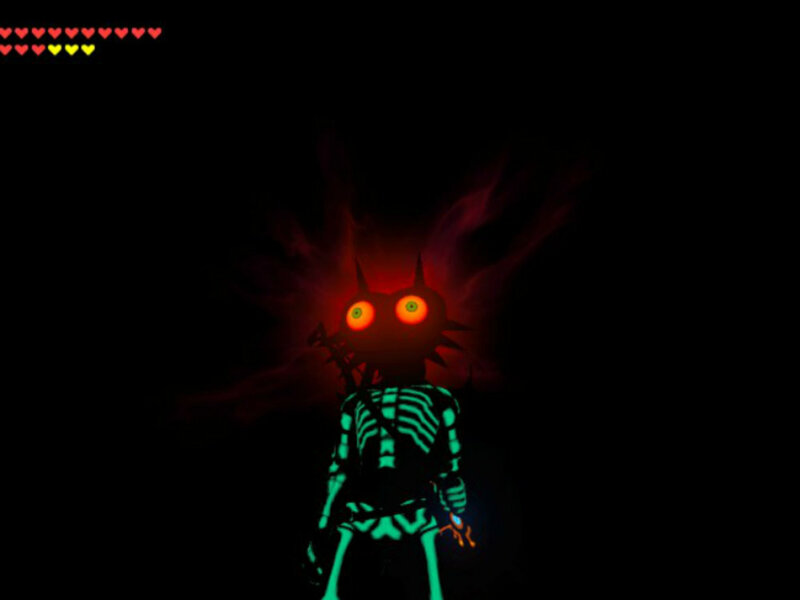 Link thinks he’s scarier than Majora.